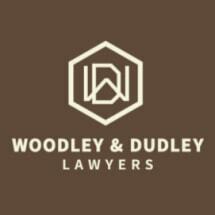 Woodley & Dudley, a law firm founded in Comanche, Texas, in 1982, is a full-service legal resource for individuals, families and businesses throughout our area. The four attorneys at Woodley & Dudley bring together more than a century of collective experience in family law, criminal defense, personal injury, bankruptcy and other matters of great importance to our diverse clients. Founding attorneys Keith Woodley and Jim Dudley are recognized in area courts and communities as leaders in their profession. Their legacy of service extends back to their long association with legendary trial lawyer Ben Sudderth, prior to his passing in 2001. Today, attorneys Jud Woodley and Emily Miller put their outstanding credentials to work extending our firm's legacy of excellence and integrity. Both are highly respected counselors and trial lawyers. Ms. Miller is a former administrative law judge and a certified mediator and arbitrator. In addition to divorce and other family law matters, felony and misdemeanor criminal defense, personal injury and litigation, clients turn to our firm for comprehensive estate planning and probate counsel. Our lawyers are well-equipped to handle real estate transactions, business formation and disputes, and a wide range of general legal concerns. Simply stated, we have knowledge across the spectrum of the law that enables us to become our clients' go-to lawyers for life. In all we do at Woodley & Dudley, clients' best interests come first. We treat each person we serve with care, respond promptly to questions and respect their desires to invest their hard-earned money wisely in our services. We offer a free consultation and communicate effectively in Spanish as well as English. To discuss your immediate or ongoing legal needs, call us today at 888-283-2291. We maintain an office in Brownwood in addition to our Comanche, Texas, location.